To use Event Hubs, you need to create an Event Hubs namespace. A namespace is a scoping container for multiple event hubs or Kafka topics. This namespace gives you a unique FQDN. Once a namespace is created, you can obtain the connection string required to communicate with Event Hubs. SharedAccessKey = the generated value of the key. This article walks you through various ways of obtaining the connection string. Sign in to Azure portal. Select All services on the left navigational menu. Select Event Hubs in the Analytics section. In the list of event hubs, select your event hub. 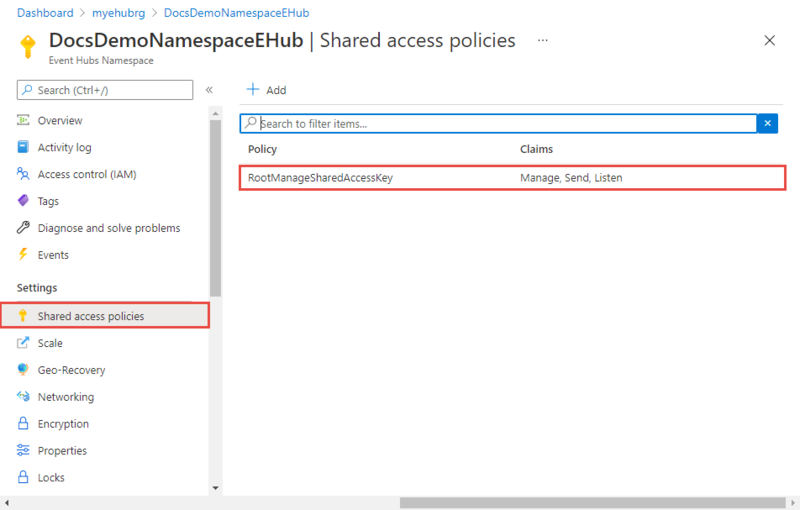 On the Event Hubs Namespace page, select Shared Access Policies on the left menu. 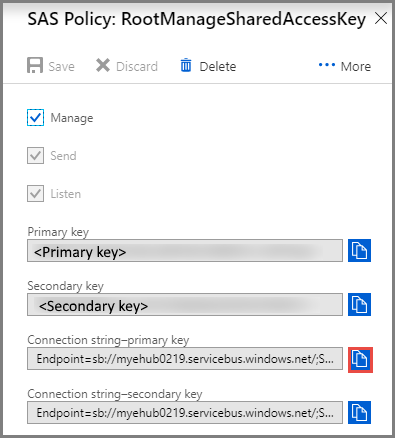 Select a shared access policy in the list of policies. The default one is named: RootManageSharedAccessPolicy. You can add a policy with appropriate permissions (read, write), and use that policy. Select the copy button next to the Connection string-primary key field. For more information about Azure CLI commands for Event Hubs, see Azure CLI for Event Hubs.